Other than my current ’95 BMW 525i, this is really the only “modern” car I’ve owned. 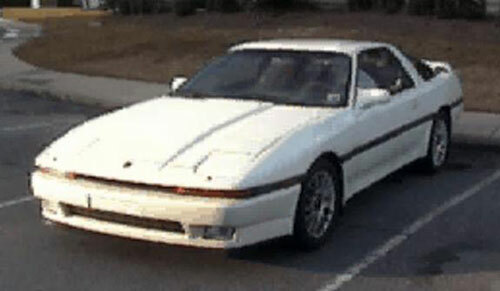 It was an ’88 Toyota Supra Turbo with a 5-speed manual transmission. Power everything, double-wishbone suspension and a 3.0l, 24-valve, DOHC, turbocharged and intercooled straight six were just some of its features. It was smooth, powerful, reasonably agile and a class act. I felt confident taking this car on dates. I purchased it sight-unseen in while living in St. Augustine, Florida; the car was located in Atlanta and I bought a one-way plane ticket, flew up, got the car and drove it back down to my home on the coast. I miss it very much. 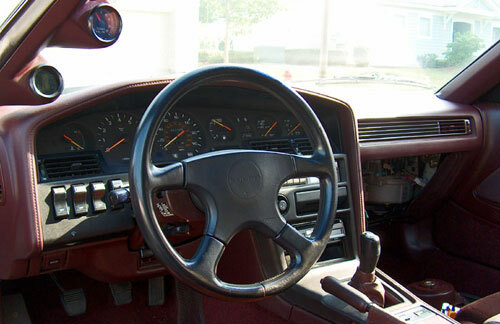 I have fond memories of driving it along Florida State Road A1A beachside at dusk with the targa top removed, stereo cranked and enough heat directed at my feet to keep me warm. It was a perfect trip car, with wonderful seats and enough power to pass at will and cruise effortlessly at 75 for hours. It might be an odd thing to miss, but the instrument layout in particular appealed to me. It was a Toyota, and as such there was a clarity and precision to the instrumentation: The needles were thin and seemed to pivot along their arcs with a kind of reassuring accuracy. I bit off more than I could chew, or was willing to chew, in modifying the Supra. Aside from the odd repairs it served me well for over a year when I decided it needed more power. 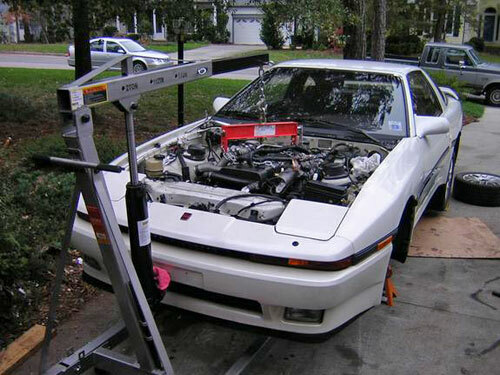 I pulled out the tired 7M-GTE engine (whose turbo seal had failed) and through divers transactions acquired a Japanese-only, never-imported-to-the-US twin-turbo 1JZ-GTE engine that had about a third again as much power as the original and was much more responsive to upgrades. At the time I was one of only about a dozen guys across the country who had attempted the swap, and liked the feeling of being a trailblazer, even as I knew troubleshooting would be difficult without the advice of guys who had gone before me. The real bummer, as I found out, was how close I really was to having it running properly again. During the winter and spring of ’04, I spent countless hours combing through the car’s wiring harness trying to resolve intractable engine management glitches. I sold the car with the understanding the new owner could use my apartment complex garage for as long as it took to get the Supra into a state where it could be driven to its new home. A few evenings and he had it eating out of the palm of his hand, having simply connected the knock sensors (which I had neglected, thinking they weren’t essential to the engine management system’s well-being for the purpose of just getting the car to start) and swapped a few more wires. Granted, he was a Toyota tech, but still… Bygones. I do miss it. I felt confident driving the car. I don’t know how to describe it… Maybe the feeling you get when you’re dressed to impress—something superficial like that. But I enjoyed it. Something about the combination of the power, the smoothness and the targa top made the whole experience more than the sum of its parts. 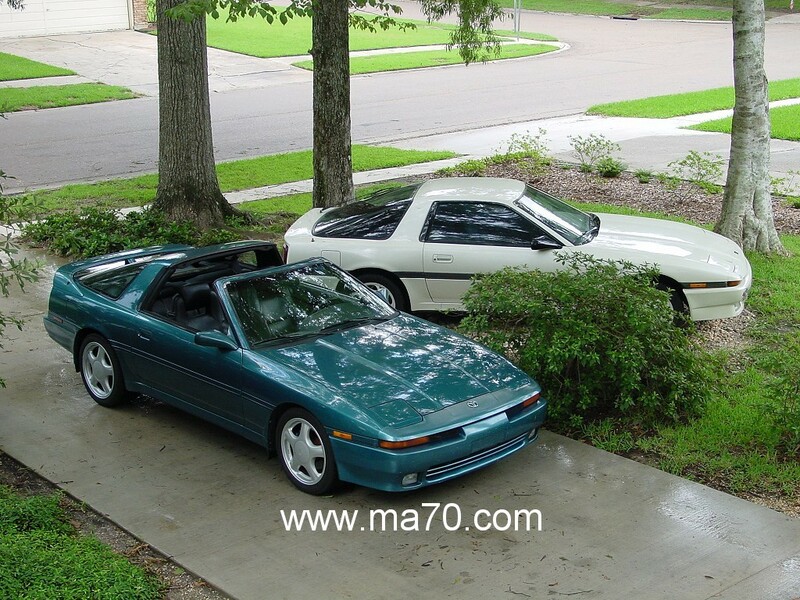 Editor’s note: This post is adapted from a “car history” post I wrote on an older blog of mine some years ago. It includes a few of the only pictures I have of the car, some of which are stills from a video. I apologize for the poor quality, but it’s all I got. Carry on.